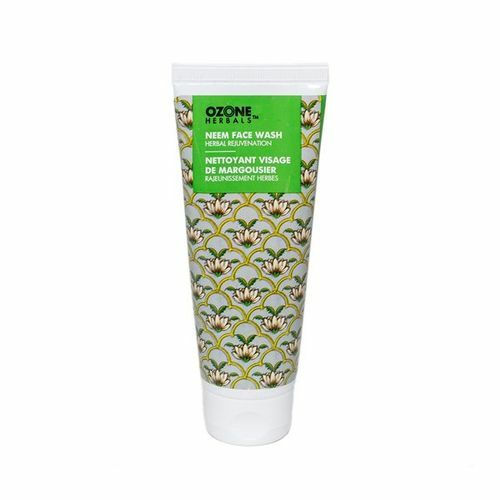 Ozone Herbals Neem Face Wash is enriched with Aloe vera, Neem and Lemon oil. It gently cleanses the skin, removes excess oil and deep rooted dirt from the facial skin. This face wash provides protection against UV sun rays and sunburn. It prevents occurrence of clogged pores, blemishes and pimple/acne caused due to excess oil/ sebum. It inhibits Propionibacterium acnes, cures acne and various skin infections. Its deep cleansing action removes dead skin cells, enhances healing, hydrates, nourishes, moisturizes and purifies skin to make it soft, fresh, flawless and glowing.